He came, he sang and he won the hearts of the whole continent. 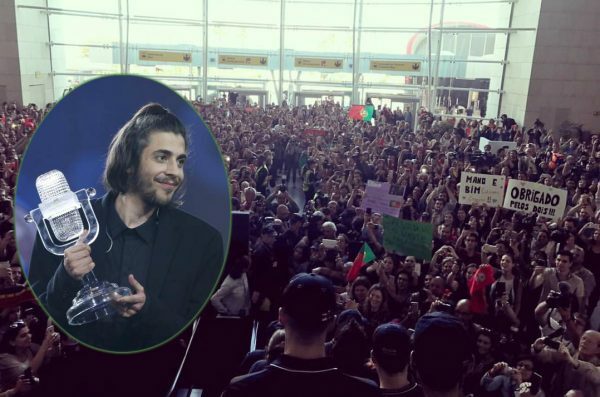 On Saturday, Salvador Sobral gave Portugal its first ever Eurovision victory after 49 years, and the Portuguese are giving him a massive welcome in return. Hundreds of people were waiting for the “Amar pelos dois” singer at Lisbon’s Aeroporto Humberto Delgado.